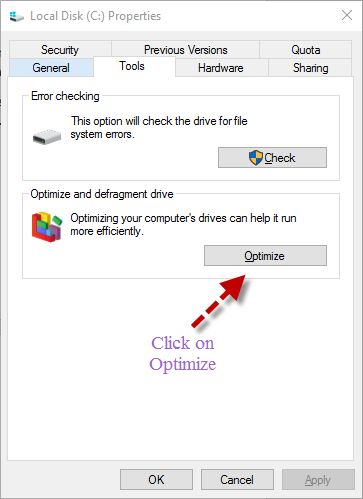 A common method of optimizing a drive is to defrag, but it doesn’t work in the same way with SSDs. So, what could be the other possible ways to optimize SSDs? In this post we’ll uncover how to optimize the SSDs in Windows 10 as well as debunk some common myth. But, before I go further, I would advise to trust Windows as it knows what it is doing. As I said earlier, SSDs doesn’t work as the way HDDs do. While in HDD, defragmentation could be a great factor of optimization, but in SSD it doesn’t get appreciable results. Another advice on SSD optimization usually we get is to reduce the amount of write to the SSD. Though it sounds valid as reducing the writes should minimize the risk of wear. But research has shown even with the lowest failure threshold, a 700 TB SSD will run 19 years without failure, if you write 100GB a day. For extremely heavily use – SSDs used in database servers tweaking won’t get desirable result. Still you’ll need to take regular backups as SSDs could fail for many other reasons. 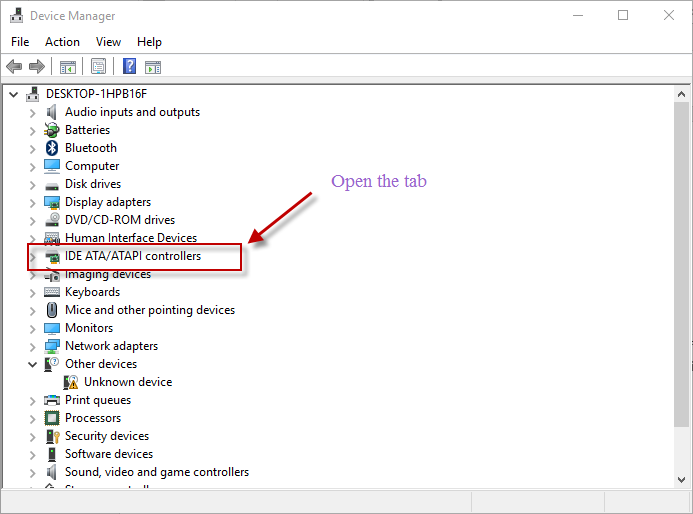 If you’re using Windows 8 or later version, relax Windows does much of the optimization task by itself. However, there are some optimization tweaks that are worth giving try. Unless you’re running a Windows XP or Vista PC, the TRIM feature should be enabled by default. TRIM command allows to notify the SSD to wipe out data from blocks which are no longer in use. Erasing those blocks reduces the Write speed and maintains optimum performance throughout the lifespan. SSD works better with AHCI (Advanced Host Controller Interface) mode. Most of the modern motherboards SATA controller is set to AHCI by default, you can see it from Device Manager >> IDE ATA/ ATPI controllers. If you see SATA controller mode in IDE, do the following to change it from IDE to AHCI. After applying changes reboot your computer. 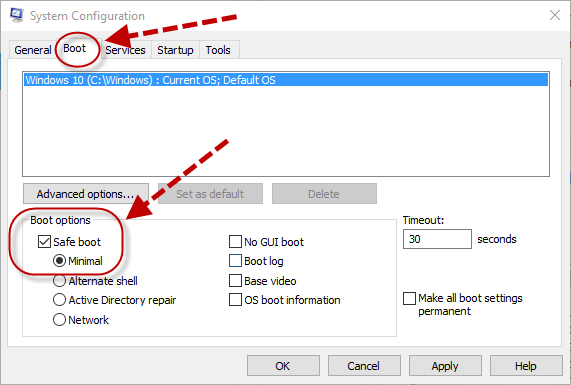 And before your computer start again go to BIOS configuration and change the disk mode to AHCI. Save the new configuration and restart again. 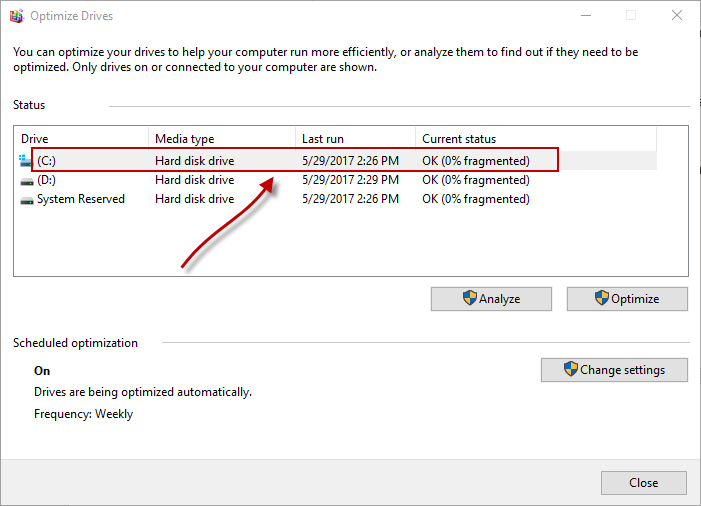 “Defragmenting SSDs is not a good idea” – but Windows does defrag your drive automatically sometimes, but with a little constraint. Windows will only defrag a SSD when System Restore is turned on. This helps OS to avoid additional process of reading and writing a file when File system meta data cannot represent any more file fragmentation. Under the Tool tab, you should see Optimize and defragment drive. Click on Optimize.